When the news broke on Saturday that the Miami Marlins were actively shopping shortstop, Adeiny Hechavarria, and the Cardinals were rumored to be one team showing interest, armchair general managers, myself included, took to Twitter to voice their opinions. The overwhelming concensus, much to my surprise, was negative. And not just a little bit, but actually somewhat hostile. Comments ranged from “Hechavarria is just another Pete Kozma” to “Cardinals General Manager, John Mozeliak, should be waterboarded and then fired”. I think I got the order right in that last part, but I’m not sure it really matters in the end. And the waterboarding may have been an exaggeration, but Mo has come under a lot of criticism of late. I have to tell you, I was truly shocked at the negative reactions. Apparently some of you are not watching the same team that I am. Please tell me what channel that team is playing on because the one I have been watching for months is not very good. Over the winter, John Mozeliak (Mo), spoke repeatedly about increasing the athleticism of the 2017 Cardinals. The signing of Dexter Fowler was an indication that Mo was serious about actual improvements in team speed and defense in spite of a roster that still had the likes of a Jhonny Peralta among the twenty five names. We can argue about the reasons, and likely will in a future post, but the fact remains that the 2017 Cardinals are not good with the glove nor are they good when on the bases. Another working story entering the 2017 season was the continued defensive improvement in shortstop, Aledmys Diaz. For the entire 2016 season, Diaz actually posted a slightly positive dWAR of 0.2, which ranked 28th of the 67 men that played shortstop in the National League (Greg Garcia was 16th, Jedd Gyorko at 11 and Jhonny Peralta was 63rd, albeit with a very small sample size). So far this season, Diaz has dropped to -0.6 which ranks 50th. There are only two names below Diaz this year. Ouch. Sadly, the eye test seems to back this up. At least Diaz hit enough in 2016 to compensate somewhat for lack of range and occasionally wild arm. The decline in defense this year is nothing compared to his struggles at the plate. Diaz has gone from an OPS+ of 134 last year to an 80 this year, significantly below league average. And if you think Diaz is getting better at the plate lately, think again. His last 28 day slash line was .266 / .293 / .392, 14 days .250 / .289 / .250 and last week plummeted to .188 / .188 / .188. But it is not just Diaz. Infield defense has been a complete nightmare for the Cardinals this season since opening day. Matt Carpenter fields first base like his cleats are full of cement. Recently promoted Paul DeJong, a career third basemen, is playing out of position and looks like it. That is not completely fair to DeJong as he was a pretty good third baseman before moving to shortstop this year in Memphis. Kolten Wong, one of the few bright spots in an otherwise forgettable 2017 season so far, can make some of the most spectacular plays and then turn into Charlie Brown on a routine grounder. The Cardinals infield defense is bad, people, especially with Kolten Wong on the disabled list. So why all the negativity about adding Hechavarria to the roster ? For the first time in about a decade, the Cardinals would have a shortstop with an actual shortstop arm. Maybe that’s it. 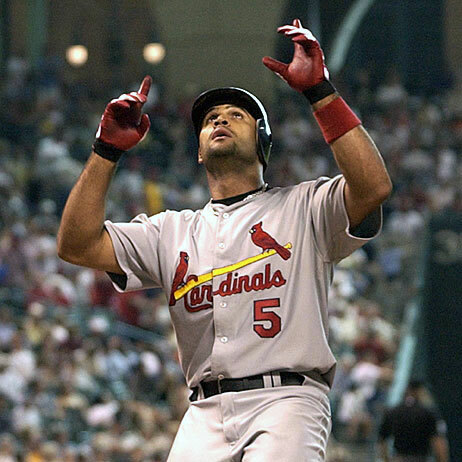 It has been so long since the Cardinals have had a good shortstop, people have forgotten what one looks like. Well, they did have one in 2013 with Pete Kozma (1.6 dWAR, 7th in the National League), but all fans did was criticize the lack of offense and Kozma became a social media punching bag. And then there was Brendan Ryan. There are two very good defensive shortstops in the Cardinals minor league system right now, and neither appears to be a liability at the plate. While he got off to a slow start this spring in Palm Beach, MLB Pipeline’s 13th Cardinals prospect, Edmundo Sosa, seems to have righted the ship and was enjoying a solid season in the Florida State League. He has recently been promoted to Springfield where he joins a very good defensive ballclub. Sosa is still two years away from playing with the big club, which is one reason Paul DeJong was moved to shortstop this spring. The other is Delvin Perez. Perhaps the most exciting prospect in the Cardinals minor league system, the 18 year old will spend the summer of 2017 in Johnson City, the Cardinals rookie league affiliate in the Appalachian League. Many expect him to fly though the Cardinals system, but he is at least three years away from even making an appearance. Outside of Mr. DeJong, there is no help coming any time soon from the minors. Why wouldn’t Mo want to add Hechavarria as a bridge to these prospects, allowing DeJong to return to his normal position ? If you think shortstops are thin in the minor leagues, try to find a power hitting third baseman. No, go ahead, I’ll wait. Still waiting. One of the other criticisms voiced on Twitter was that Hechevarria was a dumpster dive and the real target should be Andrelton Simmons. 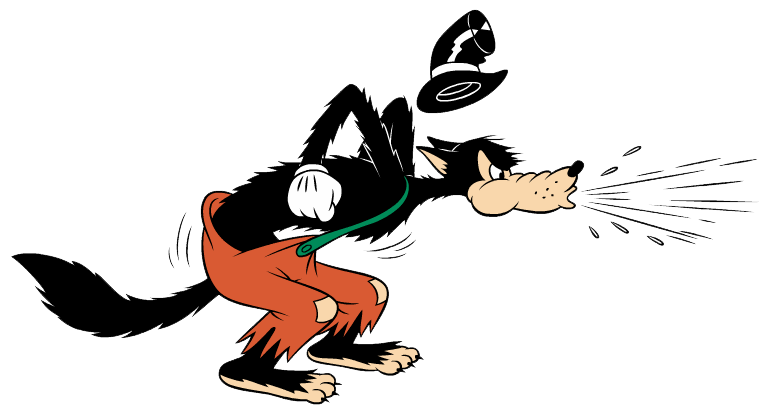 Other than insulting the current Cardinals shortstops, I think the proper response here is …. There is a bit of a problem with this. If the Angels decide to put Mr. Simmons on the market, every team that thinks they will be in contention will be calling and offering prospects that the Cardinals either don’t have or would be unwilling to part with (Delvin Perez, Magneuris Sierra and Jack Flaherty). While it works with trading baseball cards, you just can’t unload half a dozen players you don’t want and somehow acquire the top player in the league. I’m sorry, baseball just does not work like that. Back to Hechavarria. Look at what the Bay Rays gave up to get the shortstop. Two fringy prospects that weren’t even in their top 30. Goodness, the Cardinals got more than that for Jaime Garcia in an almost embarrassing winter fire sale. Come on people, the price here was right. The Cardinals are loaded in fringy prospects and hardly any of them would have been missed. My favorite reason against the acquisition of Hechevarria was his lack of offense. While this is absolutely true, there are several ginormous flaws with this line of reasoning. Though the offense is a bigger concern, improving the defense has nothing at all to do with fixing the offense. Mo can, and should, do both. Considering what Tampa gave up for Hechavarria, Mo still has plenty of resources to kick the Cardinals offense into a higher gear, should he find the right opportunity. But even more distressing is the notion that the Cardinals are going to somehow hit their way out of their current state by adding more low average high strikeout rate power hitters. The Cardinals already have plenty of those. They have so many that they just traded one away and sent another one down to Palm Beach to work with their hitting guru to see if he could be less of a low batting average and high strikeout rate guy. I hate to be the contrarian here, but this is one deal that Mo should have made. While it is unlikely to have changed the NL Central standings in any meaningful way, it would have taken some pressure off of a pitching staff that is beginning to look more like extras from The Walking Dead than a professional baseball team. It also would have started the systematic upgrade program that Mo will need to do if he expects this team to be any better next year. More on that in a future post, but the bottom line is that any upgrade, even one as marginal as this one, would have been welcome. Unless something changes, the Cardinals may be looking up at the Reds in the standings before this season is over. Once again, thanks for reading. Please leave any comments or suggestions as they are always welcome. There are far too many thoughts on this one to try to share on Twitter, so this minor set of transactions have become the proverbial straw that got the camel up to dust off the covers of this derelict blog, if you don’t mind the string of mixed metaphors. I am a little bit out of practice. Let’s start with the givens as we have little control over these transactions. Kevin Siegrist has gone on the disabled list with a back injury. That does not sound terribly promising, but does explain some of what we have seen of late. Let’s hope this is not a chronic condition that impacts the career of the Cardinals young left-hander. While reading comments today on Twitter, it became apparent that some people out there that don’t know basic human anatomy. The cervical portion of the spine is at the top, the thoracic portion is in the middle and the lumbar at the bottom. A cervix is a completely different part of the anatomy, and not to be found anywhere on Mr. Siegrist unless you are speaking metaphorically. And not terribly nice. Dexter Fowler will be joining Siegrist with a recurrence of a right heel spur. If you have not experienced that particular injury, you have no idea how painful that can be. As with Mr. Siegrist, let’s hope the rest will help that area settle down and that this does not become more serious. Given those two holes in the roster, what does Cardinals General Manager, John Mozeliak, do to fill them. Let’s be reasonable here. Mo is not going to trade Greg Garcia for Giancarlo Stanton, so please limit the discussion to things Mo can do before, say, game time ? To backfill Fowler, the answer is obvious. Randal Grichuk is the next guy on the depth chart, is already on the 40 man roster, and has played in St. Louis. Since being sent to Palm Beach to clear his head and work on his batting approach, Randal Grichuk has played like, well, Randal Grichuk. In 14 games with Memphis, Grichuk has slashed a .270 / .313 / .603 line, thanks to some recent power and a couple of good days at the plate. His strikeout rate is still 30% and he rarely walks. Let’s not pretend that Grichuk has turned anything around and earned this promotion back to St. Louis. At the same time, let’s not pretend that the Cardinals front office has any better choices, other than Magneuris Sierra – but that is a topic for another blog post. With Grichuk in St. Louis, where is manager Mike Matheny going to bat him ? IT DOESN’T MATTER. With Matt Carpenter cemented in the leadoff spot and at first base, Tommy Pham occupying the second or third spot and Stephen Piscotty in right field, your only good choice to hit cleanup, Jose Martinez, will be on the bench. So Grichuk is your cleanup hitter. It is not a good choice, but Mike Matheny is rather void of better ones. Complaining about this latest Grichuk situation seems rather silly. Should Mo do something about the gaping holes in the roster ? Yes. Has he done the best he could to field a 25 man active roster for a 7pm game. Yes. That brings us to the subject of Mike Mayers, who will replace the injured Kevin Siegrist. Oh, this one has gone over well on Twitter 🙂 Once again, take a step back and see how the pieces all come together and see if you have any better ideas. 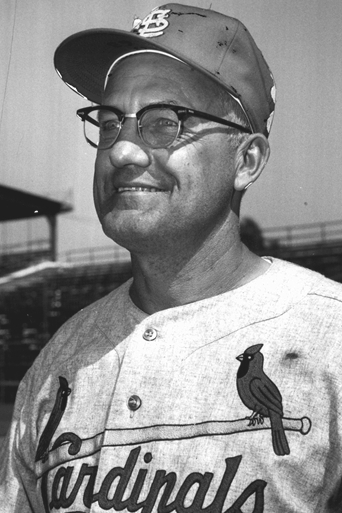 First, Brett Cecil has already taken the spot we think of as Kevin Siegrist’s. Few probably saw the turnaround happening this quickly, but Cecil has been one of the best out of the bullpen of late. In the last two weeks, Cecil has been a rock. Opponents are hitting just .136 against him and slugging, if you can call it that, a mere .182. At the UCB Blogger event a few weeks ago, Mo said that he believed Cecil’s issues were mechanical and very minor. Recent observations say Mo might have been right. 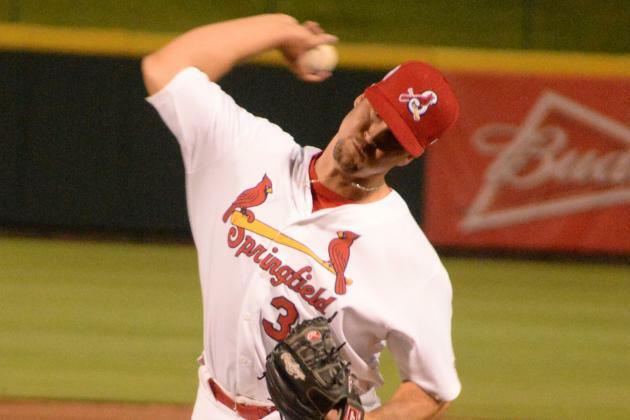 Tyler Lyons will step up to fill the other lefty spot in the bullpen. Expect to see him getting more playing time which will make Daniel Shoptaw happy. The real hole in the bullpen once the shifting around is complete, is for a long man. That is the role Lyons had been performing. When you look down in Memphis for likely candidates, the list becomes rather short. Sorting the pitchers by WHiP (Walks and Hits per inning Pitched), you get Sam Tuivailala and John Brebbia, who are already on the active roster. 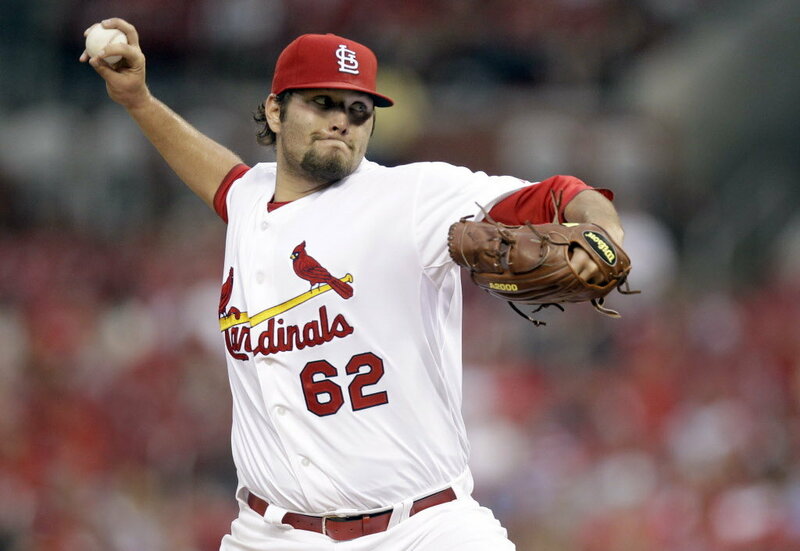 Next is Mark Montgomery, who we should keep an eye on for the next time an arm is needed in the Cardinals bullpen. Then comes Luke Weaver who will likely be called up soon to replace Michael Wacha in the rotation. Jack Flaherty is next, not on the 40 man roster. Neither are Artie Reyes or Ryan Sherriff, who probably deserves a consideration at some point this summer. Marco Gonzales needs innings more than the Cardinals need him in the bullpen. Trey Nielsen and Josh Lucas are not on the 40 man roster. We’ve seen John Gant and were less than impressed. Rowan Wick is injured. The next name is Mike Mayers. Hmmm, so yes, he is the 14th guy on the WHIP list, but the ones ahead are either not on the 40 man, injured, or recovering from injury. If you only remember Mayers from getting shelled by the Dodgers last season, that is not the Mike Mayers that has been throwing a ton of quality innings for Memphis. His 3.74 ERA doesn’t sound terribly exciting, but remember that the Pacific Coast League is one the most hitter friendly in the minors. Mayers is throwing strikes and not getting himself into trouble with walks. Considering the role of long relief, likely in a mop up situation, Mike Mayers is the right guy to be called up. Let Tui and Brebbia handle the higher leverage innings, Mayers is the innings eater for the next time Lance Lynn or Michael Wacha can’t get out of the fourth inning. Can we all calm down about this now ? That brings us to the final roster move made today. Chad Huffman has been optioned to Memphis and the Cardinals have purchased the contract of right handed slugging first baseman, Luke Voit. Is this really a question here ? Is there anybody that would rather see Chad Huffman come in to pinch hit in a game situation than Luke Voit (.322 / .406 / .561, 12 home runs, 48 RBI) ? Once again, we need to be realistic here. The Cardinals offense has been anemic and rendered nearly inert when it faces good teams. Luke Voit is basically a right handed Matt Adams without the goofy nicknames and social media baggage and won’t cure the Cardinals offensive woes, but he does give Mike Matheny a bat that might put the ball in play. For those of you that will still complain that this is just a lateral move, continue to dream on about Mo signing Manny Machado, Bryce Harper or somehow cobbling together enough of a package to get Marcell Ozuna away from the Marlins (like every other team is trying to do). None of those were going to happen today. More important, nothing Mo did today keeps those unlikely deals from happening, save the unlikeliness of them actually happening. What John Mozeliak has done is improve the roster, albeit marginally, with the talent he had at his disposal. Instead of complaining about all of the things Mo hasn’t done since the beginning of time, most of which are not realistic in the first place, how about acknowledging an effort to patch some holes in a very leaky battleship. It is a step, a tiny one. With the trade deadline quickly approaching, perhaps there will be more. And some big ones would be very welcome. Thanks for taking the time to read. Please share any ideas in the comments. Go Cardinals. Not that either team needed it, but tensions were raised a notch as the final 2015 regular season series between the Cardinals and Cubs got under way in Chicago. 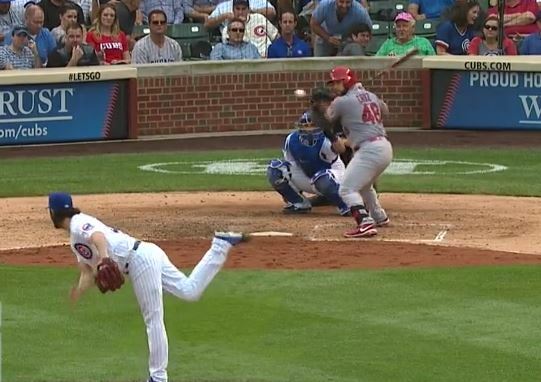 The first of two linked events occurred in the top of the fifth inning, when Cubs starter Dan Haren hit pinch hitter Matt Holliday in the head. Holliday appeared to be OK but left the game immediately, for precautionary reasons. The second happened with two outs in the bottom of the seventh inning, when the game was all but over. 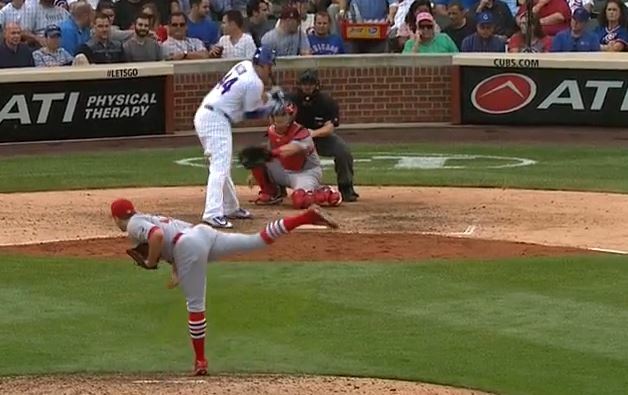 Cardinals reliever, Matt Belisle threw behind Anthony Rizzo, just clipping his uniform behind the knee. Belisle was immediately ejected. Reading some social media comments both during and following the game have led me to an observation that I will call Bob’s Razor, in homage to the common interpretation of the famous Occam’s Razor. any given play and see what they want to see. OK, let us all take a step back and take a deep breath. Try to watch the two plays with as much detachment as you can muster and tell me what you see. It is a fact that we don’t know what either pitcher was trying to do, on their own or following orders from the dugout. All we have are our eyes and hopefully some common sense. It is easy to overlook the previous batter that Dan Haren faced before hitting Matt Holliday. An 0-1 pitch sailed high and inside to Tony Cruz, causing him to spin out of the way and step out of the batter’s box. With that image fresh in your mind, what is the most likely scenario that led to Dan Haren hitting Matt Holliday – that it was intentional, hitting a player that has not had an at bat in a game since late July or that the pitch just got away from him, like the one thrown to Cruz ? Unless Haren has taken acting lessons in the off season, his reaction to the pitch should tell us all that we need to know. Sorry Cardinals fans, the most likely scenario here is that it was not intentional. It was a careless pitch that probably should not have been thrown. Oh, it is fine to be outraged over lack of control, but that is a different situation that needs a bit less venom. Now let’s look in on Matt Belisle in the seventh inning. Again, what is the mostly likely scenario here ? Yeah, that one was intentional. But sorry Cubs fans, it is exactly the type of “retaliation” that you should have expected and not the type of thing to get your undies all in a bunch. If you look very carefully at the next few frames of the video above, you will see that the ball does clip Rizzo in a part of his uniform behind his knee. The lack of deflection of the ball’s trajectory tells you that Rizzo was just grazed, if anything. 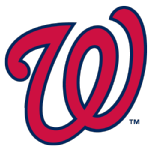 Was it poor sportsmanship on the part of Matt Belisle ? If Bob’s Razor was not in play here, no, it is not. The same can be said of the Chris Coughlan slide a few days earlier that ended the season of Jang Ho Kang of the Pirates. We often talk about old school retaliation and much of what is discussed is more folklore than actual history. Pitchers like Bob Gibson and Tom Seaver had such pinpoint control, they could knock a mosquito off the uniform of an opposing batter. When they wanted to send a message, it would be behind a player or at least heading towards the lower part of the hitter’s body. Sandy Koufax refused to throw at hitters, causing his catcher, Johnny Roseboro to buzz Juan Marichal in the famous incident in August 1965. 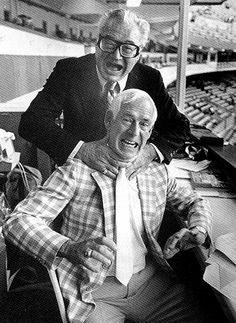 When these guys hit a batter, it was almost always to regain control of the inner part of the plate, not some vigilante act of revenge. The problem today is that most pitchers don’t have the control of a Gibson, Drysdale, Koufax, Seaver, Feller or even Bob Veale (who did have a bit of a mean streak). Most have no business throwing inside even though the opposing batters are wearing more armor than the Knights of the Round Table. When they do and hit a player, as happened to Matt Holliday 17 times last season, a bit of careful retaliation might prevent number 18 and perhaps a career impacting in jury. If either team need comments like these to be fired up at this point in the season, they don’t belong in postseason. The same should be said of the fans. Now that the Lance Lynn contact has been taken care of, and both Tony Cruz and Peter Bourjos have avoided arbitration, we can turn our attention to the last piece of the Cardinals 2015 puzzle, Jon Jay. 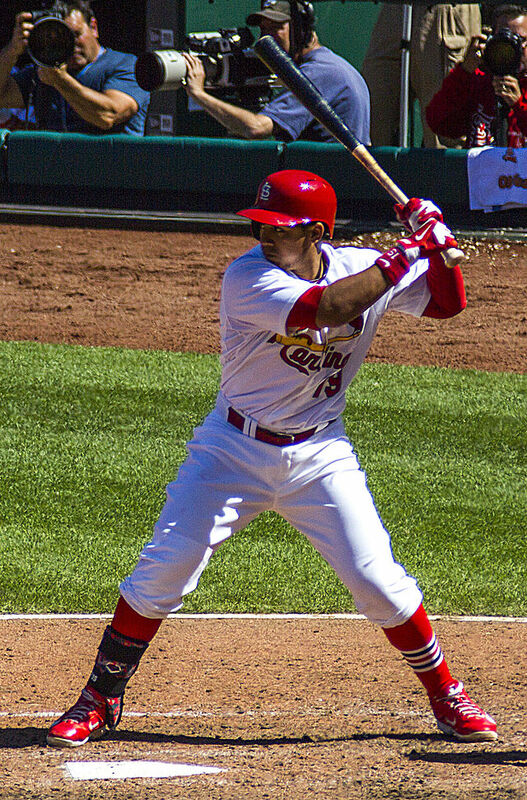 There may not be a more polarizing figure on the current Cardinals roster than Jon Jay. There is no question that he is a likeable player and has developed a strong fan base just on his personality alone. In addition, fans that favor offensive production first will tend to side with Jay and point to his consistency in batting average (career .295 without much deviation) and on-base percentage (.379 last year, .359 for his career). They will also be quick to point out his lack of errors, some to the point of suggesting he is worthy of a Gold Glove. Perhaps that is going a bit overboard, but Jon Jay does have a good glove and catches any ball that he can get to. The other side quickly dismisses those claims by using his slugging percentage to show (rightfully) that he is a singles only hitter as well as a lack of stolen bases (6, down from 10 and 19 the previous two seasons), proclaiming him a base clogger, thus not a good choice for the top of the batting order. The persecution of Jay continues with a deeper look into his defensive performance, specifically below league average range and less than impressive defensive runs saved. It is hard to argue with this after watching Billy Hamilton score from third on a short fly ball. That video should come with a parental warning. The fact is that all of this is true and just demonstrates the wide diversity of how fans look at and evaluate a player in the game today. Perhaps it would be different with a more critical approach to broadcasting on television and radio, but that is not the product being offered at the moment. How does this affect Jon Jay ? Simple – of all the players on the roster today, Jon Jay should be the last to face an actual arbitration hearing. All of the positives from his 2014 season (taking the every day center fielding job away from Peter Bourjos, an improved offensive year, better base running) will be shattered by a cold hard examination of his defensive performance, which will be the basis of the Cardinals case to the arbitration committee. The two sides have not disclosed any numbers publicly, but we do have some information start forming a basis for a possible resolution. Jay avoided arbitration last year by signing a one year $3.25M contract. Based on his 2014 season, and both sides should agree with this, he surpassed the previous performance that earned him that contract. As a result, he should expect some raise above the league inflation, and the Cardinals should be expected to do at least that. That puts a number like $4.5M in play and will likely be near the midpoint of the two sides. The proper play here is for a one year contract for $4.5M. His fans can rejoice that they will have another season with the young man while his critics will wince at nearly $5M spent for a player that they don’t think should be an every day player and would rather see him not even on the roster. The outcome of an arbitration hearing could make that a reality sooner rather than later. The thing that should not happen is a multi-year deal, buying out Jay’s last two years of arbitration and any free agency years. Unlike the Lance Lynn situation, the Cardinals have quite a bit of depth in the position, though nobody particularly stands out, including Jon Jay. Right now, Tommy Pham can play better defense, though he hasn’t demonstrated the ability to hit major league pitching. Peter Bourjos has a slightly better track record than Pham, though he can’t be viewed as anything more than competition to push Jay for another year. Randal Grichuk remains a curious possibility, especially if Jason Heyward is up for a move to center (unlikely). Stephen Piscotty squelches any thoughts about Jay as a long term play in left field. Down in the minor leagues, Charlie Tilson continues to move up and could soon be pushing his way into consideration. The point here is that the Cardinals do not have a clear cut answer for the center field situation, and that should keep the front office from offering an extended contract to Jay. The upside here is that if viewed as a non-punitive course of action, that could be exactly the fire Jon Jay needs under his feet to prove his critics wrong. A one year $4.5M contract is the answer that both sides should be able to live with. That is what I would work to if I were the Cardinals front office or Jon Jay’s agent. The next few days should be interesting as the deadline for submitting arbitration offers has passed. Unless the two sides are finalizing some sort of deal, it appears as if Jon Jay will be the first Cardinals player to reach arbitration since Darren Oliver in 1999. Oh, the Cardinals won that case – and non-tendered him at the end of the season.